Mission La Purísima Concepcion, located in Lompoc, was founded December 8th, 1787 by Padre Lasuén and named the Immaculate Conception of Mary the Most Pure. 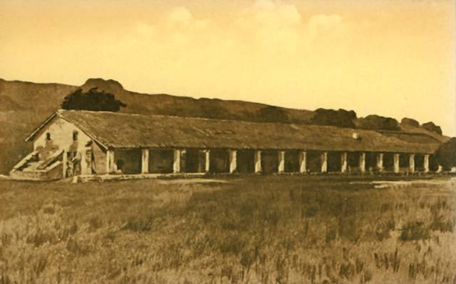 Eleventh in the California chain of missions, the mission was situated in a rich and fertile valley. In 1788 the first buildings were begun and the mission was complete in 1791 after only three years. Local Indians were cooperative and proved to be fundamental for the quick growth and prospering of the mission. After celebrating its 25th anniversary, the mission suffered a terrible earthquake in 1812, followed by torrential rainstorms and a flood that destroyed all the early buildings. In 1815 the mission was moved to another site, four miles away, where the construction of a new and better mission began. The new mission knew a period of prosperity which lasted for ten years. Then, misfortune came again: drought, fire, starving sheep and finally, a revolt of the Indians. The mission was secularized in 1834 and sold in 1845. It was returned to the church in 1874 but sold because of the dilapidated condition. The mission lapsed into ruin until 1935, when the State of California acquired and restored the mission. Restoration was finished in 1937. Today, La Purísima Mission belongs to the National Park Service. It has been more completely restored than any other mission. If an interested traveler wishes to understand what mission life was like, La Purísima is the mission to visit. Tours and information are readily available.